Binary Scam Alerts » Scam Reviews » Infinity App Review, SCAM Infinity App Exposed With Proof! 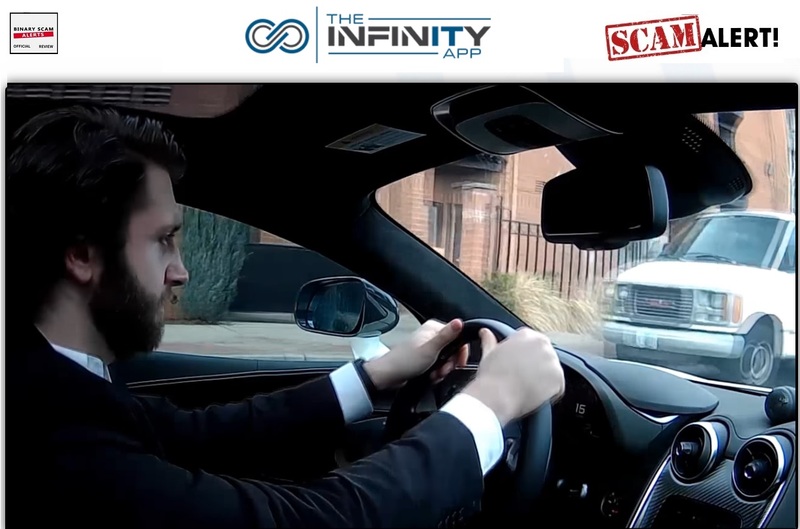 The Infinity App software and trading robot by by Mark Stevenson the actor and fake CEO is a dangerous SCAM, and we BLACKLISTED it in our detailed and impartial review and investigation. Infinity App has a unique signature and produced a series of red flags which indicated to us that we are dealing with a very sophisticated and well-financed affiliate fraud ring. We were not surprised when we saw the complaints starting to arrive, as this is a very high-end production and designed to mislead and deceive unsuspecting day-traders. If for some reason you are under the impression that this fake app and auto-trader is legit or genuine, then you are clearly mistaken and will have your wallet fleeced by professional con artists specializing in internet and credit card fraud. Our researchers have compiled conclusive evidence which will undoubtedly lead you to the much foreseen conclusion, which is the realization that we are dealing with a confirmed financial SCAM and there is no possible way to profit from it since it was designed with the sole intention of stealing your money. Keep reading to see how we exposed these crooks and shed light of this filthy operation. Official Website, Login Page, and Members Area: http://theunlimitedsystem.com/special.php? Here is Stevenson (alias) riding his fancy McLaren 570GT car (which is rental) and spewing lies about how this software has been making him thousands of dollars every day. Below you will see the same actor performing on the set of the Amissio Formula scam. Believe it or not, Amissio was launched about a year ago and is still responsible for baiting people very effectively. Here are some of the successful “beta testers” who have been kind enough to provide testimonials about how successful they have been thanks to the Infinity App. Gary Stevenson is an old liar who also starred in Your Legacy Club as a fake Billionaire named Bill O’Doherty. Here we have another actress named Lisamarie Harrison. She was paid to stand outside a Bank of America ATM holding cash and say how “her life has changed” and “things are very different now”. And for the final nail in the coffin, here we have Professor Matthew Lewis making a much expected comeback from the filthy Code Fibo, and saying how its time for you to “take action”. 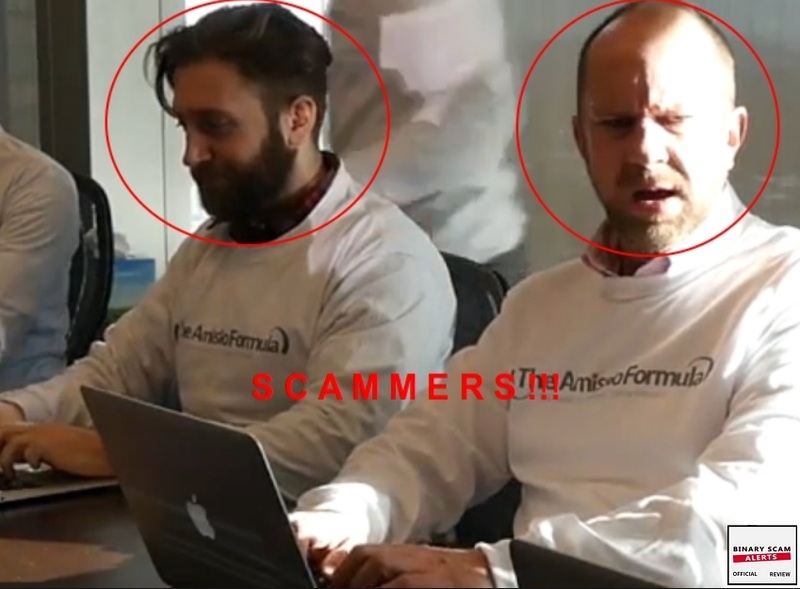 All of these scams have been exposed here on Binary Scam Alerts, and to be quite honest our staff was shocked at how the producers of this video were able to put together such a nasty cast of actors without paying attention to who these actors are and what they have done before. Mark Stevenson, an ex-NASA engineer and the mastermind behind the Infinity App has developed a “system so powerful, even some of the fortune 500 companies took notice”. As the story goes, he refused a 20 Million Dollar buyout bid, and instead he offered 35 beta testers something even the billionaires on Wall Street could not afford. Now it’s your chance to join a team of beta testers that will get free and unlimited access to Steve’s one-of-a-kind money making software. According to Stevenson, this system was developed according to NASA technology, where he worked as an engineer. He claims this system is capable of returning “push button” profits of between 15 to 50 thousand dollars A DAY consistently. He continues to say that you don’t need any prior knowledge in trading or technical skills. The auto pilot “profits will be the same” regardless of your professional background or education. He says all you need to do is push the activate button and make sure the “profit booster is on”. This is the “secret sauce” that will allow you to generate rapid profits 100% on auto-pilot. He claims he is already rich, and does not need a single cent from you, and proceeds to exit the building and drive to meet his next “beta tester” Robert Williams (in red circle above). They enter a restaurant for some drinks where he says his software has “never failed to make profits for even a single day during the last 6 years.” Then they register for the software and the account balance magically grows to over 1.5 thousands dollars. Needless to say Robert is shocked and fascinated by this mind-blowing technology and how it performs. After that they proceed to an ATM machine where the money is withdrawn and Robert walks away with cash in his pocket. Stevenson mentions that soon we will hear directly from the mouths of his friends and family how his software performed. Naturally, these are people he “cares deeply about” and would not waste their time. Then he “invites you to stop being skeptical and have an open mind” so as not to waste a golden opportunity with “zero risk”. After that he drives back to Robert and sees a changed man with a new car and a new house. The Technology – How Does it Work? It started in 2009 when Stevenson was assigned to be the head of a project predicting meteorite trajectories. He says he can’t disclose in too much detail about how they achieved their objectives be cause that’s “classified”. Then it hit him, there were a lot of lines in that code that could be applied to predicting other things with just a few small changes. He says this formula reached accuracy levels that have never been reached before. So he took time off from his job and developed the Infinity App which has made him a multi-millionaire and provided him with financial freedom. Gary Stevenson is NOT Mark’s uncle, he is an old and well-known cheating actor who was paid to perform. Cindy Richardson is really Lisamarie Harrison, and she has also played in other get-rich-quick schemes. Darren Brown is really John Hugill, and he was the leading actor in Code Fibo as well as other notorious scams. These con-artists have reached new levels in deception. Naturally the software is rigged so for all intents and purposes they can manipulate the numbers and show you what they want, and in this case they showed you winning trades. Remember, the only REAL proof of wins can be viewed directly from the BROKER’s trading history sessions. Any other software can be used in order to alter the information which is displayed. Are familiar with the term “self-fulfilling prophecy”? In essence, it means if you say and act as if a reality is true enough times, people will actually believe it regardless if it is true or not. This is why there is so much repetition of the same messages over and over again. They are trying to spoon-feed you a lie, and sadly this method has been proven to work. It looks very believable and many people will surely be tricked. Binary options specifically, and online trading in general carry risk to your capital. There are no such things as guaranteed wins, or risk free trading. What we are witnessing here is a bona fide scam of mega proportions. We have a lot of deep pockets that invested money here, but they keep making the same production mistakes for some reason. We see hyped up and exaggerated claims of wins, inflated bank accounts, fake testimonials, and outright lies. The narrative is also out of touch with reality and full of inconsistencies and half-truths. No it is not, and you will need to part with at least $250 to get started with this software. This money will be charged to your credit card by one of their supported brokers which may or may not be regulated or licensed. 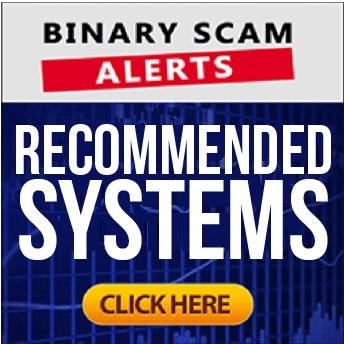 The hottest scams trending these days are Binary Option Club and Orion Code which was produced by the same crooks. We have seen quite a few fake reviews endorsing this trading robot. It’s plain to see these so called “honest review sites” are getting bribes and kickbacks in the form of commissions. If you are not sure about a certain system please message us and we shall be more than happy to advise. If you are deliberating and want to make a decision about which system is right for you then we invite you to check out our recommended section. Our researchers have weeded out all the losing apps and we are currently showcasing our most consistent money-making machines. The Infinity App, software and trading robot by Mark Stevenson the cheap actor and performer is a verified and blacklisted investment SCAM. In our detailed and factual review we have provided all the proof and evidence required to validate our claims and initial premise. If you have fallen victim to this latest scheme, chances are you will end up having your money stolen by greedy offshore brokers with little chance of getting a refund. The only thing legit or genuine about Infinity App is the intention of the criminal affiliate marketers and brokers behind it to defraud you and wipe out your bank account. Here’s a fair warning, if you decide to deposit don’t even try messaging us because these guys have become very masterful at stealing money and understand how to cover their tracks. As always, should you need further information you will find it simply by joining our Facebook group and subscribing to our YouTube Channel.